Traveling has certainly cut into my surfing time. I can just barely keep up with my own blog, let alone someone else’s. Here are ten travel blogs that I find myself returning to time after time, no matter how dodgy my wi-fi connection may be. Art of Backpacking — Michael and Teresa are a winning combination, producing a blog filled with useful travel tips and good old-fashioned story-telling. Their site’s intended focus is “simplicity, minimalism, experiences, and adventure” — I think they deliver. Bacon Is Magic — Currently in Nicaragua, Ayngelina is three months into her solo trip around the world and manages to perfectly convey in her posts and photos just how much fun she’s having. Reading her articles on Central American street food has convinced me that I’ll gain 800 pounds when I get there. Canada’s Adventure Couple — Dave and Debra have been traveling together for 13 years and have been just about everywhere. 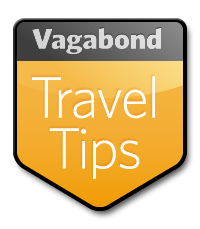 Their site is chock-full of useful tips and fun, informative posts on amazing destinations. Dave really knows his way around a camera, as well. They’re currently making plans to run the Mongol Rally and I am green with envy. foXnoMad — If I had to recommend just one site to learn everything you need to know about low-cost, independent travel, this would be it. Anil really loves to share tips and tricks and his site is a gold mine for travelers. GoBackpacking — Dave spent 20 months traveling the world and blogging about it. He’s now editor-in-chief of the greatly-expanded site and it’s packed with articles and photos devoted to independent travel. Even if they stopped updating the site today, there’s enough good stuff there to keep you busy for months. Never Ending Journey — Let Simon and Erin serve as a warning to others about the dangers of travel. They spent a year traveling the world and returned home to find life in the UK rather dull and boring. They’ve since sold their belongings and headed out again, producing a fun, colorful blog of their experiences to date in South America. Nomadic Chick — Jeannie is sarcastic, outrageous, and witty, which is probably why I enjoy her writing so much. She’d been planning a RTW trip, then got laid off from work. Rather than panic and find another gig, she’s moved up her leave date — their loss is our gain. Pause the Moment — Ryan and Liz are a couple of twenty-somethings on a RTW trip. Currently in Greece, they’re sharing useful tips on cheap travel and taking plenty of eye-popping photos. Check ‘em out. Two Backpackers — Jason and Aracely have let the corporate world for a life on the road. Their site is loaded with inspiring articles, how-to tips, great photos, and some really well-done videos. Two Go RTW — Kathryn and Daniel are planning a year-long RTW trip and are sharing what they learn as they go through the process. I wish I’d had their site to follow as I was planning my trip — very useful info. Uncornered Market — Audrey and Daniel end up at the end of this list purely because of the English alphabet (stupid alphabet!). They offer well-reasoned, compelling articles on all aspects of life in this crazy world we call home and showcase some amazing photography. Highly recommended. I’m honored to even be mentioned in this list. Your blog is one of the very few I’m able to keep up with while on the road. My favorite posts of yours are the budget posts. So helpful! Thanks again for the shout-out, we appreciate it! Great selection. There’s some that are new to me here, so I’ll be checking them out. FoxNomad (or however Anil capitalises it!) is consistently awesome, and Uncornered Market blows my mind every time I pop in. .-= Ant Stone´s last blog ..Colour Vision- 3ABF23 =-. All some great choices – and I’m pleased to call several of them friends (albeit ones I haven’t met on the road yet)! For the record, yours is at the top of my own list Wes! .-= Joel´s last blog ..Changes- I Fought The Blog and the Blog Won =-. Thanks, Joel — I always enjoy your posts as well. Good stuff. You know, that alphabet thing gets us every time! Thanks for continuing to read our site when you’re on the road – I know how time and internet can be scarce. And, we appreciate the kind words from you & Ant about about our writing and photography. Safe travels and continue to enjoy Vietnam! .-= Audrey´s last blog ..Panorama of the Week- Guatemala’s Most Beautiful Cemetery =-. Aww thanks for including me, so funny that I also follow the others as well. Your blog is always a fond memory of what I saw combined with a twang of jealousy that my adventures there were so tame compared to yours. .-= ayngelina´s last blog ..Have you met Andres =-. Can’t wait to follow your adventures in South America — I’ll be taking notes. Can also recommend Joel’s site (in the comments above) and Barbara Weibel’s – http://holeinthedonut.com/. .-= Mikeachim´s last blog ..The Human Scale Of Hot- How We Melt Down =-. Totally agree with ya on both accounts. Yay! Thanks for including us and for introducing us to some people that we didn’t know. Never Ending Journey, Pause the Moment and Bacon is Magic…We are coming over to your blog for a visit! We are regular followers of the others and your fabulous blog and love them all. Btw, I LOVE what you did with Thesis. .-= Michael´s last blog ..Southeast Asia Bucket Ingredients =-. I think the bankok love is in Bankok. That’s what it’s famous for. However, I second that vote for Matt and Jodi’s sites. And Christine Gilbert’s. And…. I agree with ya. I could have easily come up with 20 or more, but had to draw the line somewhere. Guess I’ll have to work up a Part 2 posts soon! Thanks so much for including us Johnny. It certainly is much harder to keep up with blogs on the road but I read all of these too and enjoy your funny reports from SE Asia. Really great list of blogs. I regularly read these guys as well – yours too! Great list, I read most of those blogs but there is a couple new ones that I’m going to check out. Thanks Wes! I practically gave up on reading my RSS while I was on my RTW trip, so it means something extra to know you’re still checking in. Art of Backpacking is one of the new ones I’ve discovered, and Mike and Teresa are super cool in person too. .-= Dave´s last blog ..Photo Favorite- Giant Burning Incense Sticks =-. .-= DTravelsRound´s last blog ..The first night in Rwanda =-. Excellent Wes! Honored to make the list. Thanks for giving our videos a shout out, we promise to get about 50 more done once we get a new computer in a month. Our laptop died and the videos with it, but not the footage :-). .-= Jason & Aracely´s last blog ..Photo of the Day- Colorful Mountains Of Northern Argentina =-. .-= Craig´s last blog ..Wine tasting in Greece on the island of Zakynthos =-. Thanks, Dina, on both counts. Eli and Jen at Living in Transit were *way* too kind. Unique presentation keep it up !!! .-= Neil Asher Scam ´s last blog ..Neil Asher Scam Billionaire Ads Study =-. Its a wonderful list of blogs. It really helpful indeed. Great list! I know most of them, and they are my favourites as well, so I bet the few that I just know now must be great too! .-= Dina´s last blog ..An awe-inspiring day trip from Barcelona- the Monastery of Montserrat =-. Good list to follow! Most of the ones I currently follow are digital nomads and would like to follow this list as well… bookmarked already and more power to your blog!